All Coins will be deleted when Club Nintendo accounts are closed on July 1, 2015. As a result, to give our members the best opportunity to use their Coins, we have added dozens of downloadable games and a limited quantity of exclusive reward items to the rewards catalog. In addition, as a small token of appreciation for your loyalty, all Club Nintendo members are receiving a free download code for Flipnote Studio 3D. Please visit here for information on the software and how to get the download code. 6/30/2015 Last day to redeem Coins or access your account on the Club Nintendo website. Club Nintendo program shuts down at 11:59pm PT on 6/30/2015. The information in your Club Nintendo account will not be transferred to the new loyalty program. We have added multiple items to our reward catalog, so please be sure to redeem your Coins before the deadline on June 30, 2015. Unused Coins will be deleted as of July 1, 2015. The last day to register products with Club Nintendo, take surveys, or earn Coins is March 31, 2015. Surveys in your To-Do list will be deleted after March 31, 2015, so please be sure to register products or take surveys by that date. Please note that products released after January 20, 2015 cannot be registered at Club Nintendo, and will not be eligible for surveys or Coins. But I have a Club Nintendo PIN # that is valid past March 31, 2015. Products cannot be registered after March 31, 2015, regardless of the expiration date written on the PIN card. Will the games I download still be registered with Club Nintendo? Club Nintendo-eligible games that you download will continue to be registered to your account automatically until March 31, 2015 if your Nintendo eShop account is linked to your Club Nintendo account. After that date, games will no longer be registered with Club Nintendo. To find out which games you can register, please see Eligible Products. Click here to learn how to link your Nintendo eShop account to your Club Nintendo account. When is the last day to join Club Nintendo? 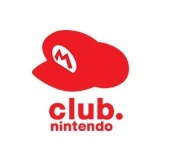 You can join Club Nintendo until March 31, 2015. When is the last day to redeem Coins on Club Nintendo? The last day to redeem your Coins is June 30, 2015. Any unused Coins will be deleted on July 1, 2015. We are offering a large number of digital games, and select physical rewards, so we are sure you can find something you like. Limited quantities are available for the physical rewards, so please be sure to check out our Get Games & Rewards page for each item’s availability. What happens to my Coins if I don’t use them all? Any unused Coins in your Club Nintendo account will be deleted on July 1, 2015. When is the last day to get the download code for the digital games I chose? The last day to access your Club Nintendo account is June 30, 2015, so please be sure to get your 16-digit download code(s) for any games you’ve received before that date. Will the download code ever expire? Yes, all download codes redeemed from Club Nintendo will expire on July 31, 2015, so please be sure to download your game from the Nintendo eShop before that date. Do I need to cancel my membership?